Join Kjong Uganda Safaris for a 1 day Chimpanzee trekking experience on our Chimpanzee trekking tour in Uganda at Budongo forest. 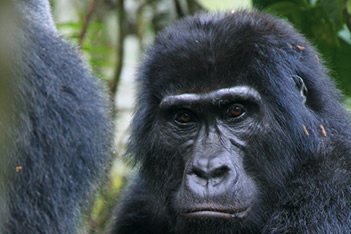 Our close relatives in the hierarchy of primates, Budongo forest as a whole habitats over 800 Chimpanzees. 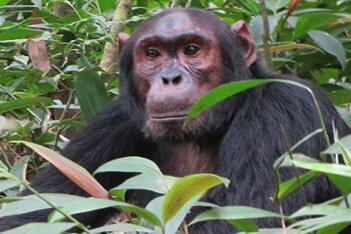 It being a 1 Day Chimpanzee trekking tours in Uganda, We have an early departure to Budongo forest leaving Kampala city at 6 am, We head north of the Kampala city to Budongo Forest which is about 3:30 hrs drive from Kampala city, Our 1 Day Chimpanzee trekking tour in Uganda starts with an early morning pick up from your respective hotels or area of residence. 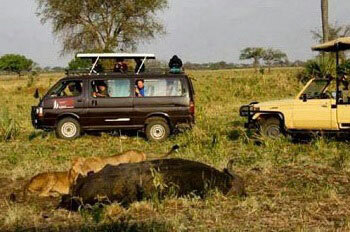 This helps us to avoid the usually high traffic through Luwero and then proceed on to Nakasongola Savannah as we approach Budongo forest for the Chimpanzee trekking tours in Uganda experience, Chimpanzee trekking is estimated to take about three hours, then drive back to the starting point which has a bar and restaurant for lunch and then head back to Kampala City where our 1 Day chimpanzee trekking tour in Uganda ends with a drop off to the pickup point.